NOVEMBER 15, 2017 — A small step for cars, a giant leap for the automotive industry. MARK.SPACE, together with Jaguar Land Rover Russia have announced their strategic partnership. MARK.SPACE provides an open-source, Blockchain-powered VR platform, which is a big step for the future of the entire automotive business on the territory of the Russian Federation. Acknowledging the full potential of the possibilities, JLR Russia has decided to fully digitize their brand experience center and Inchcape dealership center, as well as bind the JLR Connect service to the MARK.SPACE VR system. 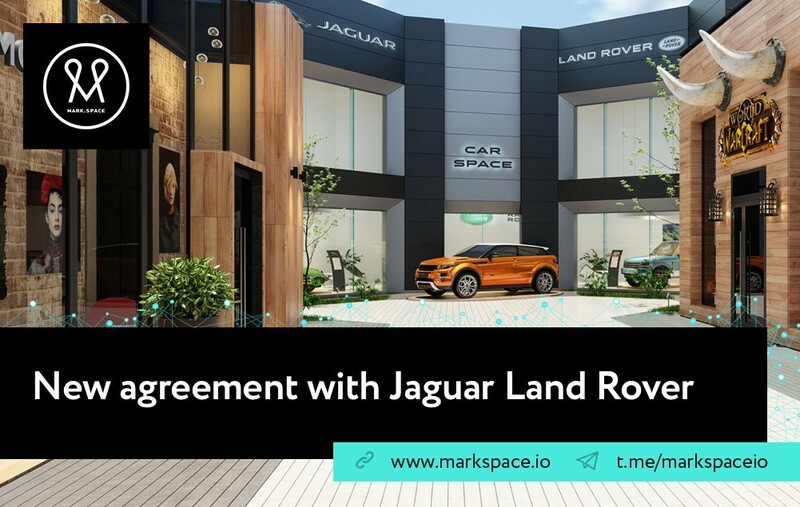 Integration of JLR products and services within the MARK.SPACE platform will provide competitive advantages to optimize resources and advance business development through use of VR and Blockchain technologies. Both parties are looking forward to a long-term, committed business relationship through a strategic partnership that will go down in history as a breakthrough for the automotive industry as a whole. An open source platform for creation of 3D, VR and AR compatible web-spaces (websites) and objects, powered by Blockchain.